RUBY goes barefoot for its Resort 2017 collection, Sunny. Dreaming of the summer holidays ahead, there’s an abundance of free-flowing shapes and versatile separates that’ll earn their keep in the travelling wardrobe. A floor-length shirt dress stands out in navy and white gingham; wear buttoned or leave open as a layering piece over shorts. Lightweight cotton muslin transforms a cropped blouse and a strapless dress with shirring detail. Low-maintenance and easy to wear, these pieces work equally well on the beach as they do in the city. Unafraid of saturated colour, the season’s colour palette packs plenty of heat. 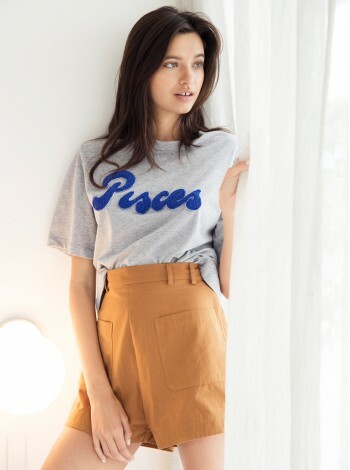 We introduce a sun-baked aesthetic with burnt orange, bright yellow, brown khaki and mustard. To contrast, a blue and white floral print reminds us to leave our beach towel and dive into the ocean more often. 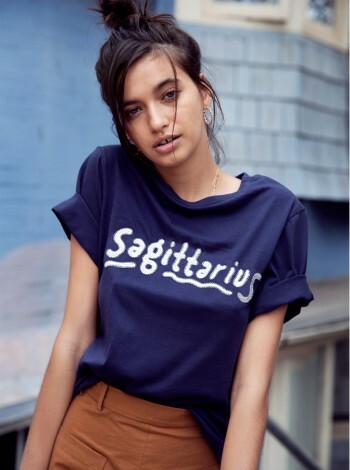 New Zealand artist Marcus Watson has also designed exclusive Zodiac illustrations for every sign in the zodiac calendar as part of RUBY’s Resort collection. Watson’s quirky designs have been printed on a collection of simple cotton crew neck tees, so you can wear your sign loud and proud. 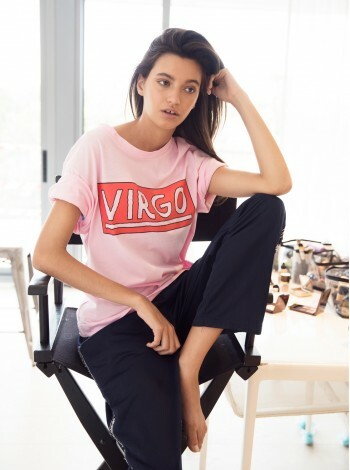 Embroidery, velvet and glitter are just some the craft techniques used to bring each design (and star sign) to life.